Supergirl Season 2 Episode 15: “Exodus”, Alex and Kara trying to save aliens!! The Supergirl Season 2 Episode 15 which is titled as “Exodus” has been directed by Michael Allowitz will show Cadmus abducting everyone. The script team for episode 15 includes Paula Yoo and Eric Carrasco. Alien kidnappings will be seen in the Supergirl Season 2, episode 15. Teri Hatcher is also joining Supergirl in a role as a villain, though no specifics on who she’s playing have been revealed. 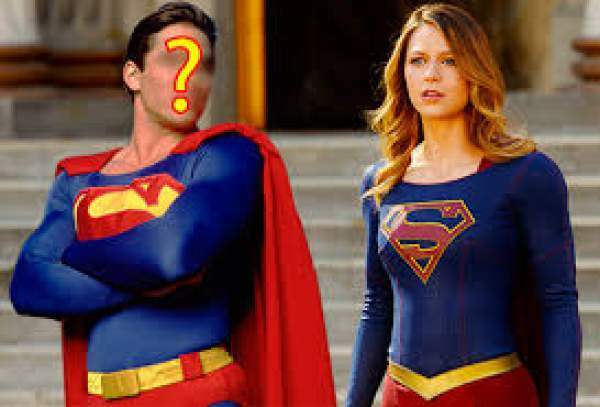 The upcoming episode 15 will focus mainly on Alex and Kara who will be seen violating rules to break Cadmus’ scheme to kill the kidnapped aliens. Supergirl Season 2 Episode 15 will air on March 6 Monday night, at 8 p.m. on television network The CW. In the episode 15 of Supergirl, Cadmus will forcefully take everyone who is on the list of DEO’s national alien registry. Tamzin Merchant who is playing the role of Winn’s new alien lover Lyra in the series is also one of them. Cadmus members kidnap Lyra in front of Winn and Maggie. By luck the DEO caught a Cadmus man, who then was very arrogantly interrogated by Alex who wanted to know as where Cadmus is. Alex will be going on an investigation to locate Jeremiah. Alex will also be seen checking Cadmus headquarters on her own but then she met Dean Cain who is playing the role of Jeremiah that is his dad. Alex is still conflicted about her father’s apparent betrayal. In the mean time, Kara will be looking into deeper analysis about a couple of alien kidnappings that have occurred. “There’s also an interesting debate in the next episode between Jeremiah and Alex” said the ex producer on whether his plan to save the kidnapped aliens “is any more humane.” Kara will be seen interfering with Cadmus plan in the episode. Cadmus was thinking to slaughter all the aliens that he kidnapped. But Jeremiah told Alex that she could be the one to stop that if she was ready to help him. But Alex cannot trust his dad. This is going to be a tough decision for Alex in this episode. Kara and Alex will try to stop the plan that Cadmus has created. Alex and Kara are sure to come up with the decision of breaking the rules to be able to destroy Cadmus’ plans. Previous articleMunthirivallikal Thalirkkumbol Box Office Collection | Income Report: Film enters Rs 50 crore club! Next articleArrow season 5 episode 15: Fighting Fire with Fire, episode will air on Wednesday, March 1 at 9 p.m.